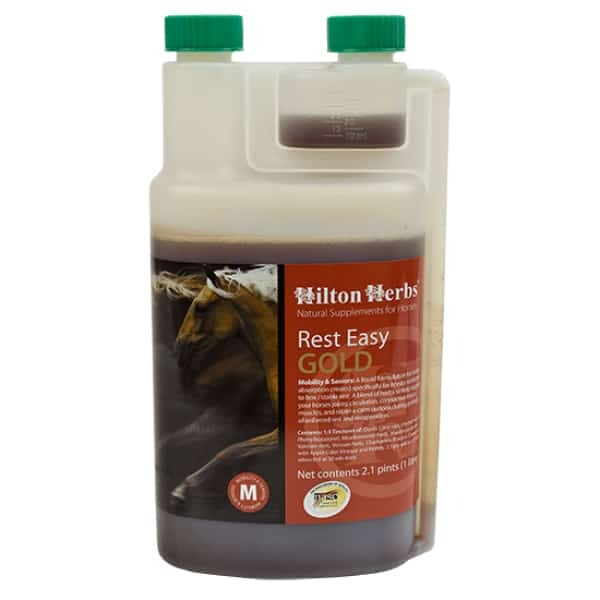 Hilton Herbs Rest Easy is formulated from the finest quality plant tinctures to ensure quick and easy assimilation by the horses system. 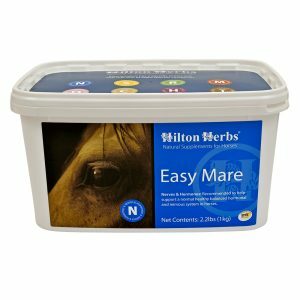 So you can be confident that your horse can: Hilton Herbs Rest Easy with herbs to support a steady and relaxed nervous system and recover with herbs to support the musculo-skeletal, circulatory and lymphatic systems. Why is it that horses always seem to sustain an injury when they are at their fittest? 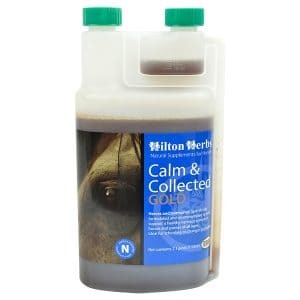 Not only is this extremely frustrating for the owner, but it also means, that the resulting stall rest makes letting the horse down gradually virtually impossible. 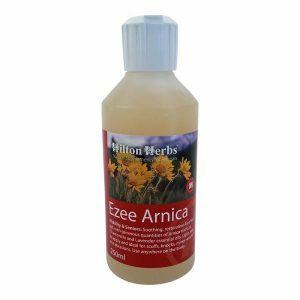 Hilton Herbs Rest Easy Contains: 1:3 tinctures of – Devils Claw root, Valerian root, Meadowsweet herb, Chamomile flowers, Hawthorn berries, Vervain herb and Cleaver herb with Apple Cider Vinegar & Honey.